NeuDrive is dedicated to working with its partners to develop the commercial applications of organic semiconductor materials and associated organic thin ﬁlm transistor technology. NeuDrive’s FlexOS™ inks and associated low temperature application processes have been developed to deliver outstanding transistor performance on ﬂexible substrates. High charge mobility and dynamically ﬂexible transistor arrays can enable applications such ultra-thin wearable electronics, foldable displays and conformal biosensor devices. 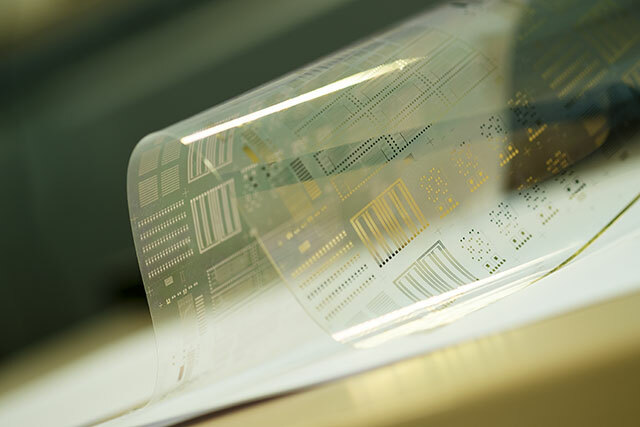 Photolithographic processes enable high resolution, shatterproof plastic displays for smartphones and tablets. Ultra thin, plastic based sensors and circuits enable lightweight device formats that can bend and ﬂex in wearable applications. NeuDrive’s inks and fabrication processes have been developed to be compatible with standard ﬂat panel display manufacturing equipment. Flexible OTFT technology will enable a whole new range of sensors and device concepts. These will enhance the interface between the physical, biochemical and digital world. As a successful entrepreneur I passionately believe that the fusion of electronics, chemistry and biology offers huge scope for innovation, business development and growth. I founded NeuDrive to exploit the opportunities this fusion creates.